GREAT Book, many great recipes. Love,love it. Gives you many ideas for new dishes. I will shop again for gifts at Miles Kimball. This was given as a gift and was highly received. They had recently purchased an air fryer and started reading it right away. 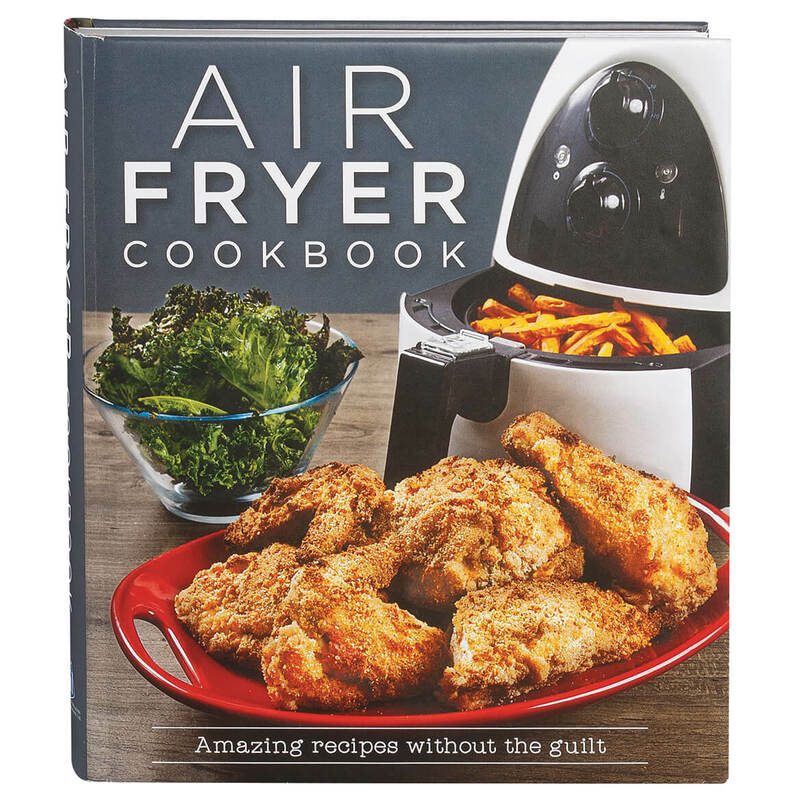 This cookbook for the air fryer is great! 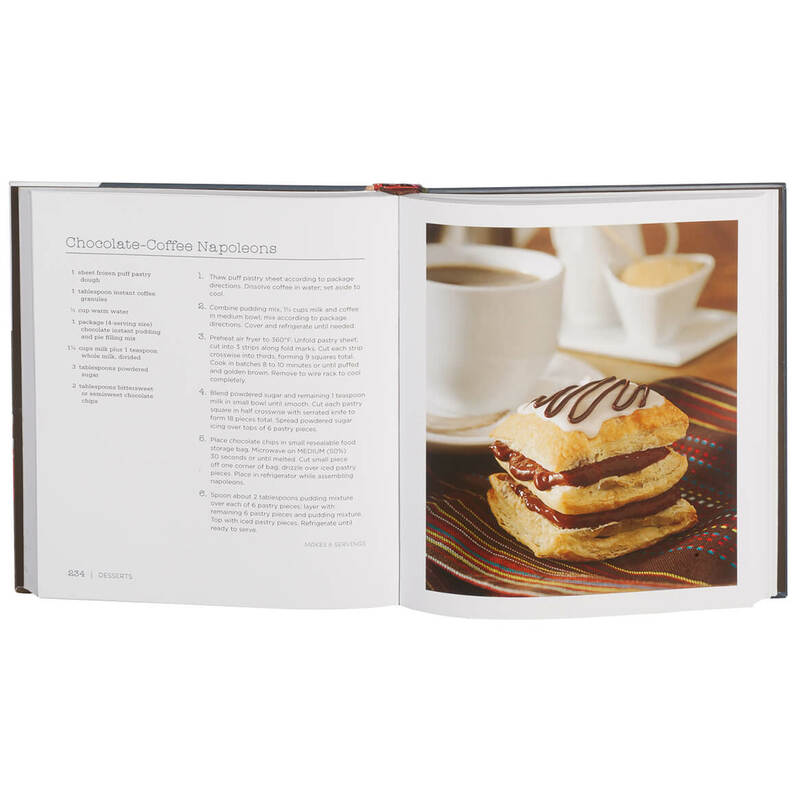 It has a lot of good recipes and the recipes are easy to follow and don't call for a lot of stuff you have to buy. Most of the stuff you have already in your pantry. I bought two as gifts for my two daughters. Both of them love their air fryers and the cookbook will expand their usage. It is a hardback edition which makes it even nicer. Excellent cook book for the Air Fryer. I love this Air Fryer cook book. It has a lot of good recipes. Just bought a air fryer curious as to recipes for the thing. We just purchased an air fryer oven and just looking for some good recipes to try out. Just purchased an Air Fryer and was looking for new recipes. I bought an air fryer. I recently purchased a air fryer oven and want to make the most of it with recipes for the fryer. Just got air fryer....wanted new recipes to try in it. I love cooking with my air fryer and wanted a cookbook that goes with it. I bought an air fryer and am looking for different ideas to use it. I liked the idea of cooking the chicken in my new air fryer but needed a good recipe and I do like most cookbooks. Thank you. I JUST PURCHASED A NEW AIR FRYER, & I THOUGHT IT MIGHT GIVE ME HELP IN LEARNING TO USE IT PROPERLY. Because I bought an air fryer. I want to be able to use the new Airfryer to its max with different receipes! Someone saw it and wanted it, I agreed to order it for them. Planning to buy sir fryers for Christmas gifts. I have changed the way I eat and I did not have a cook book for my air fryer. Got a fryer for Christmas and need help with cooking things in it. Who is the author of this Air Fryer Cookbook? BEST ANSWER: Thank you for your question. We do not have that information and the book is not available at this time. We hope this information will be of help to you. BEST ANSWER: Looking into the cover of the book. There is no pacific author shown. That's the best I can help you. Thank you for your question. There is no author, it is Publications International Ltd. We hope this information will be of help to you. For what size air fryer are these recipes geared towards? I have a 2.7Qt. fryer and I want recipes conducive to this size. BEST ANSWER: Thank you for your question. Please contact our Customer Service department at 1-800-858-4979 for further assistance. We hope this information will be of help to you.